Stormy Daniels has announced that she, too, will release a book about Trump. Stormy Daniels' upcoming memoir about her alleged relationship with Donald Trump, announced last week on ABC News' "The View," could be the latest book claiming to provide an inside look at the president and his White House. Daniels' upcoming memoir -- titled "Full Disclosure" and set to be released on Oct. 2 -- could be the latest in a series of publications this year that ignited a war of words between President Donald Trump and the authors and prompted the White House to launch weeks-long campaigns attacking their contents. Here's a look at the other four books -- and the president's Twitter responses. Over the past two weeks, President Trump has disputed claims made by journalist Bob Woodward in his tell-all book, "Fear: Trump in the White House." It was released on Tuesday but details from the book emerged ahead of its release. 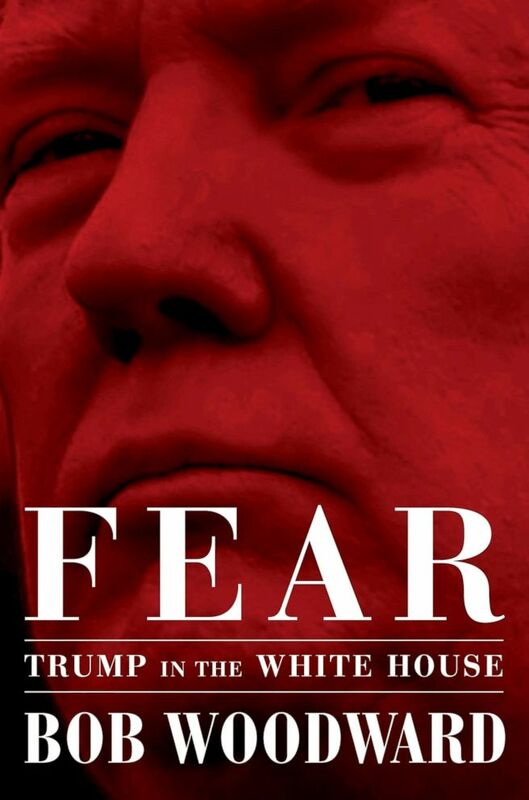 (Simon & Schuster via AP) "Fear: Trump in the White House," by Bob Woodward. In "Fear," the Washington Post editor and investigative journalist of Watergate fame cites anonymous sources from within the administration and casts the White House as chaotic and paranoid, led by an angry president who is often in conflicts with his own staff. The book also says Trump is haunted by special counsel Robert Mueller's investigation into Russian meddling into the 2016 election and possible collusion by his campaign. "The Woodward book is a scam," Trump tweeted. "I don’t talk the way I am quoted. If I did I would not have been elected President. These quotes were made up. The author uses every trick in the book to demean and belittle. I wish the people could see the real facts - and our country is doing GREAT!" The Economy is soooo good, perhaps the best in our country’s history (remember, it’s the economy stupid! ), that the Democrats are flailing & lying like CRAZY! Phony books, articles and T.V. “hits” like no other pol has had to endure-and they are losing big. Very dishonest people! Days later, Trump continued to criticize the book and lamented that no politician has had to endure as many "Phony books, articles and T.V. 'hits.'" Woodward defended his reporting in an interview with ABC News' "Nightline" Tuesday night, saying, "Too many people are disturbed and worried about what's going on in the Trump White House. And the public can't kind of pretend this isn't occurring." In "Unhinged: An Insider’s Account of the Trump White House,” the former Trump aide, who was fired last December, makes a series of explosive claims, which were punctuated by a series of TV appearances in which the former "Apprentice" contestant released several recordings that she claims were taped during her time at the White House. In a scathing statement, White House Press Secretary Sarah Sanders called Manigault Newman a “disgruntled former White House staffer” and slammed her book as "riddled with lies and false accusations." 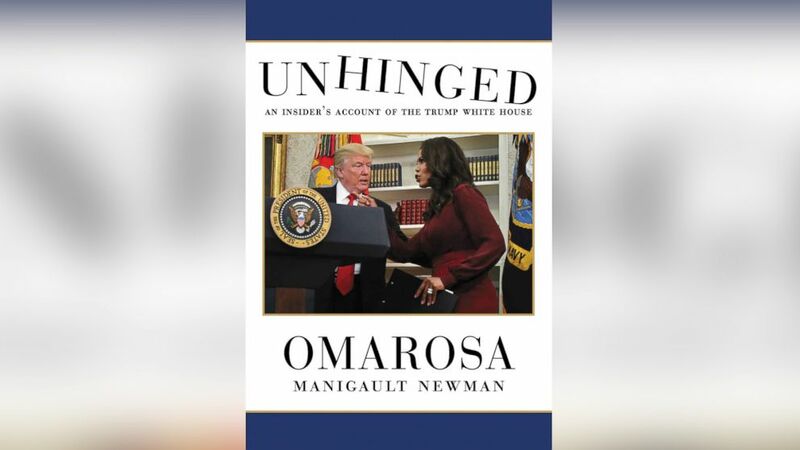 (Simon & Schuster, Inc.) Book cover for Omarosa Manigault Newman's "Unhinged: An Insider's Account of the Trump White House." Among the claims, Manigault Newman alleges that Trump was unaware that she was getting fired by Chief of Staff John Kelly and that a tape exists of Trump using the N-word from his days on "The Apprentice." The claim has never been proven. The reality TV star claimed that the White House is trying to "silence" here after the Trump campaign filed an arbitration claim against Manigault Newman last month, alleging she violated her non-disclosure agreement. In a series of tweets, the president called her everything from "wacky and deranged" to a "lowlife" and a "dog" and complained that the media is giving her attention. Among other claims, the former FBI director, who was fired by Trump in May 2017, wrote that the president engaged in an effort to secure his loyalty during a series of meetings and phone calls that began in the presidential transition period. 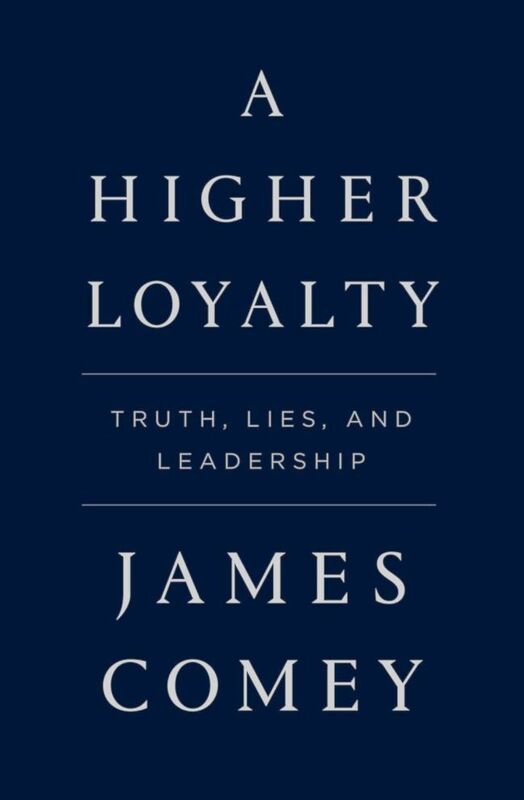 (Flatiron Books) "A Higher Loyalty: Truth, Lies, and Leadership," by James Comey. Comey, who gave an exclusive interview to ABC News' George Stephanopoulos, prompted a barrage of attacks from Trump and his White House, pushing back on his claims and questioning his credibility. So General Michael Flynn’s life can be totally destroyed while Shadey James Comey can Leak and Lie and make lots of money from a third rate book (that should never have been written). Is that really the way life in America is supposed to work? I don’t think so! "So General Michael Flynn’s life can be totally destroyed while Shadey James Comey can Leak and Lie and make lots of money from a third rate book (that should never have been written). Is that really the way life in America is supposed to work? I don’t think so!" Trump said in one of many tweets about the book. As excerpts of the columnist's bombshell book emerged ahead of its release, President Trump's lawyer Charles Harder demanded that Wolff and his publisher immediately “cease and desist from any further publication, release or dissemination." But that did not stop the book from getting published, igniting a weeks-long campaign to discredit Wolff and the officials he interviewed. 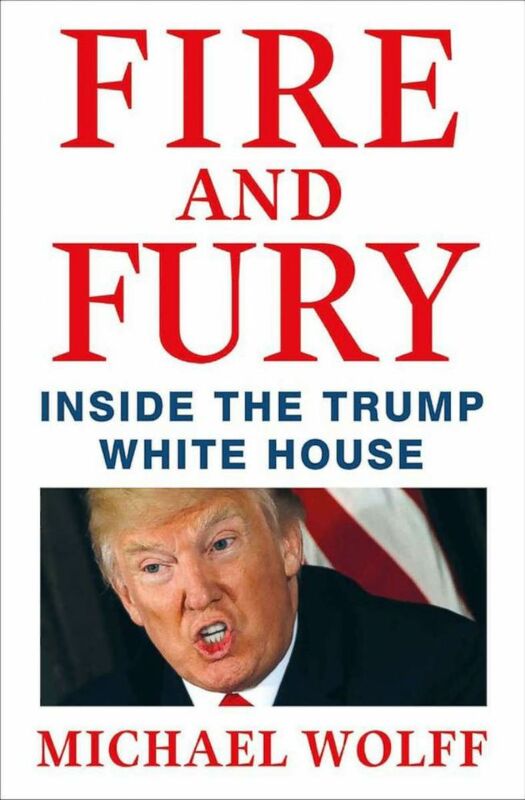 (Amazon) "Fire and Fury" by Michael Wolff. In a series of tweets, Trump wrote that the he "authorized Zero access to White House" and turned Wolff down "many times," slamming the book as "full of lies, misrepresentations and sources that don’t exist." He also attacked Bannon, whom he fired in August 2017, tweeting, "Michael Wolff is a total loser who made up stories in order to sell this really boring and untruthful book. He used Sloppy Steve Bannon, who cried when he got fired and begged for his job. Now Sloppy Steve has been dumped like a dog by almost everyone. Too bad!"